Digging into the Spa City's seedy past, which includes mobsters and mountains of money. 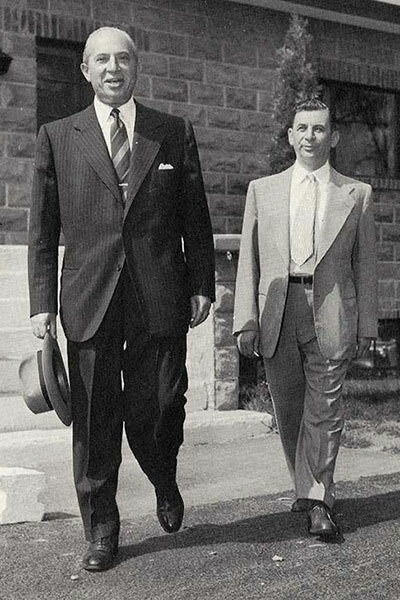 Meyer Lansky, right, with his attorney, Moses Polakoff, in September 1952 after posting $10,000 bail and surrendering to the state prosecutor in Ballston Spa in the extraordinary grand jury investigation into illegal gambling in Saratoga Springs. Mobster Charles “Lucky” Luciano presided over gambling at The Chicago Club, located on Woodlawn Ave in Saratoga. Meyer Lansky received a fine and jail time for his involvement in Arrowhead Inn. Meyer Lansky owned a piece of Piping Rock at Saratoga Lake. The Arrowhead Inn featured top entertainers like Xavier Cugat and his orchestra. 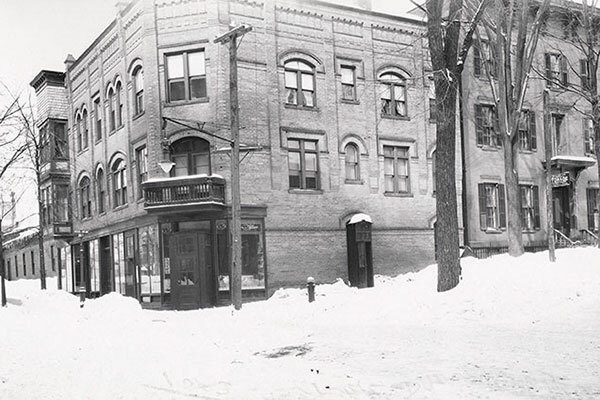 In the spring of 1953, as mob mogul Meyer Lansky began a three-month sentence in the Saratoga County Jail in Ballston Spa – his only jail term ever – he may have dreamed of the welcoming warmth of Havana. Just the year before, Lansky’s good friend, President Fulgencio Batista, had retaken the Cuban government in a military coup and was running the show. Lansky may have had bad dreams, too. The unfortunate consensus at the mafia’s Havana Convention, held just before Christmas 1946 at the Hotel Nacional, was that Bugsy Siegel, his friend since childhood, must be “removed.” Mob leaders from around the nation had become convinced that Siegel was skimming money from the Flamingo Hotel in Las Vegas. Shortly after, Siegel was shot dead in his girlfriend’s home in Beverly Hills. Still, Lansky could have had reasons to be optimistic that good times would return as soon as his jail time was up. Another decision of that historic Havana gathering: Charles “Lucky” Luciano, another young friend of Lansky’s, would be kingpin of the mob, calling the shots as he bided his time in Cuba, hoping to return to the U.S. after being deported. Frank Sinatra came down to croon for the mobsters in high style. 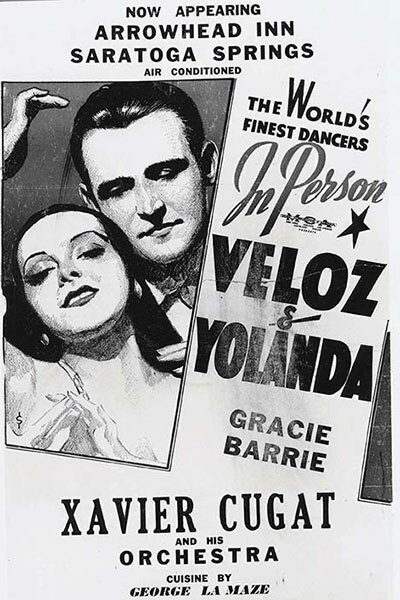 The syndicate knew that top-of-the-line entertainment, the best chefs, honest gaming, classy accommodations and beautiful women would draw the big gamblers and celebrities – a winning combination in Havana, Las Vegas… and Saratoga. The story of how Saratoga Springs became a center for mob glitz dials back to the 1919 opening of The Brook, a casino and cabaret where tuxedos were required. By 1936 no one could open a casino in Saratoga Springs without the approval of the Combination and its head, Luciano, according to Colliers’ magazine. And it didn’t slow down one bit when Luciano, dubbed Public Enemy No. 1, was sent to prison later that year in upstate New York. Joe Adonis simply took his place. Lansky, Luciano and Frank Costello were all protégés of famed ’20s gambling and narcotics czar Arnold Rothstein, the reputed fixer of the 1919 “Black Sox” World Series, who owned the classy Brook casino out on Church Street in Saratoga, where Lansky and Luciano learned their trade. Rothstein and Luciano were silent partners in the Chicago Club on Woodlawn Avenue in Saratoga. By 1951, Costello, Adonis and Lansky had “formed the eastern axis of a combination of racketeers working through the nation,” according to a U.S. Senate committee report on organized crime. Sen. Estes Kefauver investigated organized crime in 14 cities across the country and heard testimony from more than 600 witnesses, and it was televised, riveting millions to their TVs to watch slot machine king Costello’s hands twitch as he testified. The TV cameras focused only on his wringing hands, giving a sinister impression as he spoke in a gravelly voice. 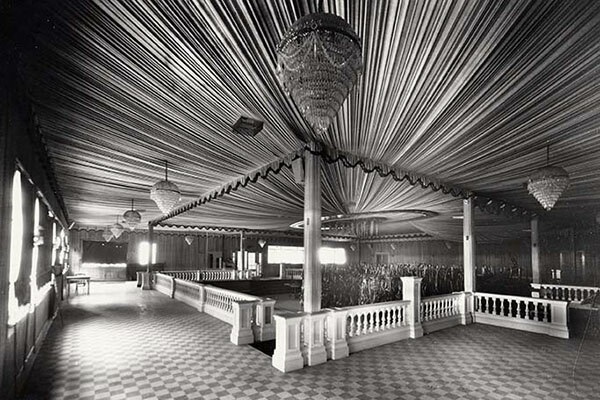 The rise of Saratoga casinos was documented and aired in the congressional hearings, including a 1943 letter Lansky had written to his accountant. Lansky had always told associates to keep all figures in their heads, but didn’t follow his own advice. The letter stated that Costello had a 30 percent interest in the Piping Rock casino in Saratoga Springs; other partners included Lansky’s brother, Jake, and Adonis, New Jersey’s gambling kingpin. Before the ink was dry on the Kefauver congressional report, New York Gov. Thomas E. Dewey ordered grand jury investigations into the link between organized crime and local governments. And that led to a Saratoga County grand jury indictment for Lansky and three months of jail time. He also was fined $2,500 for his involvement in the Arrowhead Inn on Saratoga Lake. The county grand jury handed down 24 indictments involving 49 people; 41 were convicted, including Louis J. 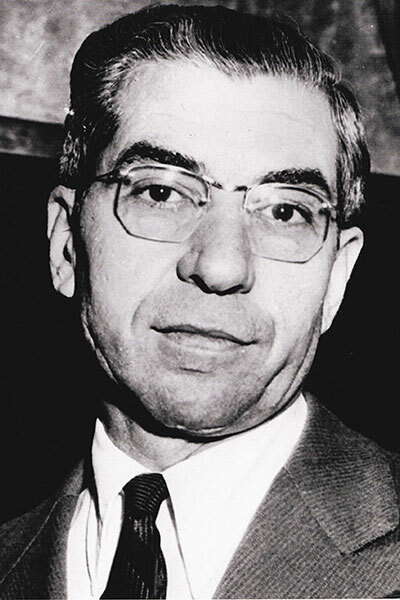 “Doc” Farone, who was connected with Smith’s Interlaken, Riley’s and the Meadowbrook, and received a sentence of nine months. Even before then, the press saw the good times coming to a halt. 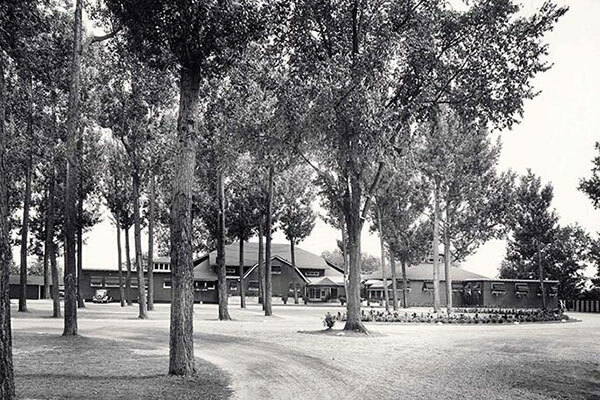 But Jack Lait, a columnist for the New York Daily Mirror, proclaimed the end was near in August 1951: “It took a century to break the heart of Saratoga… Saratoga is terrorized and paralyzed. The little the Kefauver Committee missed last year by its threats to give the burg the business by taking away its principal business. Gov. Dewey’s State Crime Commission has mopped up. 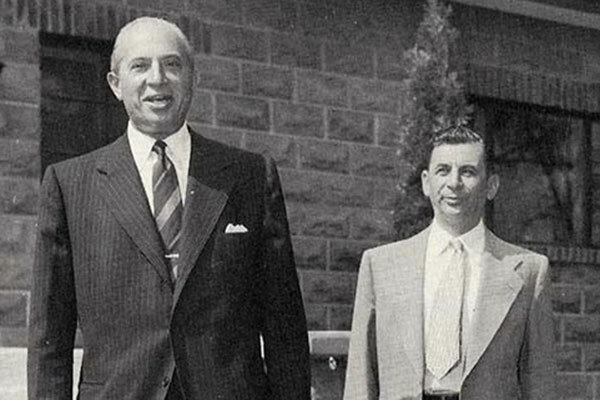 As the heat had increased in Saratoga, Lansky, always looking ahead, established a relationship with Batista after they met at the Waldorf Astoria in New York in the late 1940s. Then, they agreed on kickbacks in exchange for mob control of racetracks and gambling in Cuba. After Batista retook power in a military coup in 1952, the golden era for mob-run casinos in the “Cuban Las Vegas” would soon begin, and Lansky had elaborate visions. But all good things must come to an end. 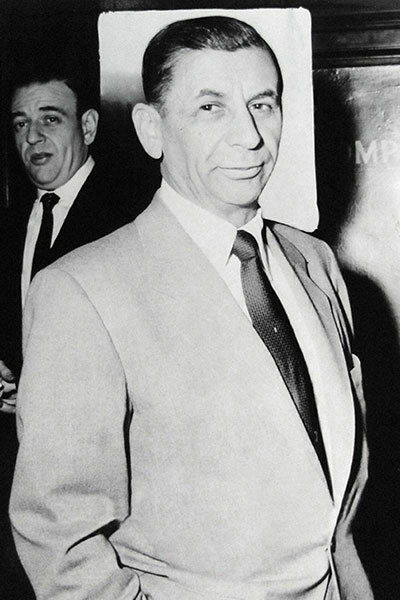 On New Year’s Eve 1958, more than a year after Lansky opened his opulent Hotel Habana Riviera, Batista fled the country. Eight days later, Fidel Castro set up his revolutionary government in the Hilton, but by then Lansky had slipped out of the country, too, escaping to the Bahamas. Then came the final blow: On Oct. 30, 1959, Castro nationalized the casinos and outlawed gambling.